Who are these Mustachioed Men? 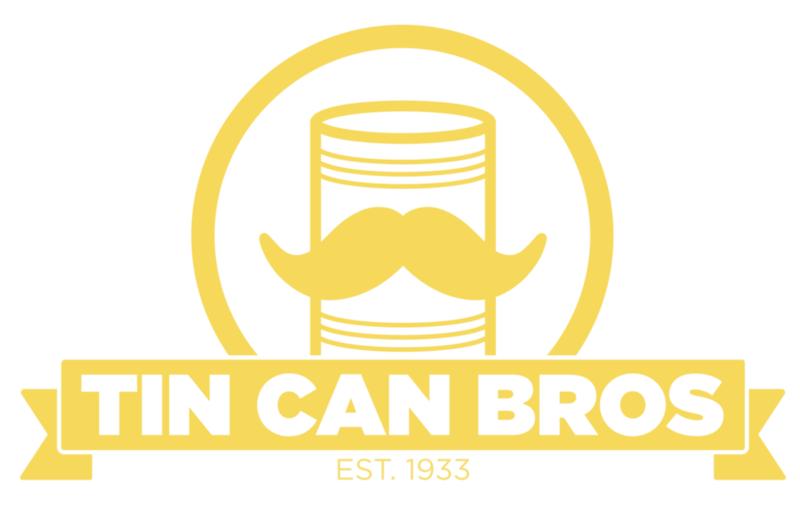 The Tin Can Brothers is a comedy team comprised of Joey and fellow Michigan/Starkid Alum, Brian Rosenthal and Corey Lubowich. In 2014, Corey moved to Los Angeles and became a resident of the same building Joey and Brian lived. With a desire to build a LA-based outlet for their creative pursuits, the Tin Can Brothers were born. The boys have posted over 150 videos to their YouTube channel, garnering over a million and a half views and close to 20,000 subscribers. In the few years they've been a group, the Tin Can Brothers have run the multimedia gamut with their impressive variety of projects, finding unique and challenging ways to showcase their brand of storytelling. After raising over $120,000 from over 2400 backers on Kickstarter, the Tin Can Brothers went into production on The Wayward Guide for the Untrained Eye, a 10-episode webseries with a companion podcast, in November of 2017 with over 30 cast members and a 100 page script. It follows Artemis, a tenacious podcast host, who has grown tired of the fluff pieces she’s been assigned by APN, the American Podcasting Network. When she finds herself in the small mining town of Connor Creek with Paul (her producer and twin brother), the corporate corruption story they’re investigating is sure to be a bust. To the twins’ surprise, the oddballs and eccentrics of this small town are harboring a secret even darker and furrier than any political scandal: werewolves. With the future of Connor Creek at stake, the Schue-Horyn twins need to decide who to trust in order to unearth the truth and stay alive. The series is currently in post-production with a potential release date of Summer 2018. If you'd still like to become a backer on the project, visit the BackerKit page! The Tin Can Brothers produced their next short, Idle Worship, to premiere at Buffer Festival 2017. The short is an exposé on the world of Ashley: an online personality turned cult leader, as she is forced to confront her followers IRL. Stylized as a mockumentary, Idle Worship features many familiar faces from other Tin Can projects, all of whom created their own oddball characters to attend this "gathering" for Ashley. This is the first major project from the Tin Can Brothers that was conceived simply as an outline and executed using mainly improvisation. Idle Worship will be available for digital ownload, featuring over 30 minutes of bonus character interviews, on Tuesday January 16th, 2018. You can preorder the short and watch the trailer now! 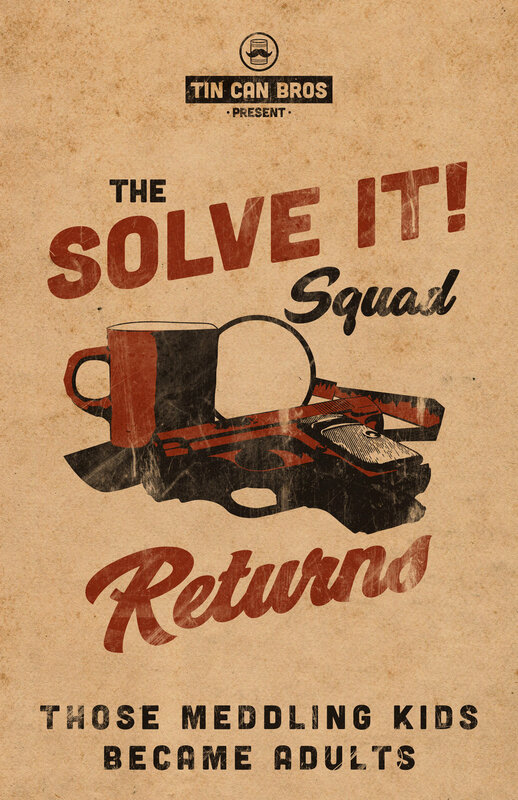 The Tin Can Brothers returned to the stage in Spring of 2016 with their next original show, The Solve It Squad Returns! It follows the adventures of a group of former kid detectives as they return to the scene of their greatest unsolved case: the murder of their trusty dog Cluebert. A send-up to classics like Scooby Doo, The Hardy Boys, and Nancy Drew, The Solve It Squad Returns will have it's own twisted spin on these beloved stories. The show ran from June 15-18 and June 22-25 at the Secret Rose Theatre in North Hollywood. For more info on the show, visit the Solve It Squad Returns FAQ page on the Tin Can Brothers website. In fall of 2016, the Tin Can Brothers funded their musical short film, Flop Stoppers, on Kickstarter. They raised $20,671 and produced the film in a month's time to premiere at Buffer Fest 2016 in Toronto. The short centers around Graham and Spencer, two fanboys who are given a once in a lifetime opportunity: the chance to travel back in time to stop a garbage movie adaptation of their favorite comic. But how far will these geeks go to preserve the sanctity of the comic book lore they love. Featuring 4 original songs from their frequent collaborators, TalkFine, Flop Stoppers is a hero's tale for the modern fan. 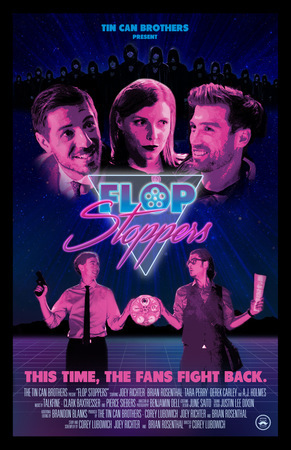 In April 2017, Flop Stoppers, had it's US premiere at the Newport Beach Film Festival, where it was chosen as an Official Selection as part of the "Over the Short Tops" screening block. A comedic send up to the spy thriller genre, Spies Are Forever finds super spy Curt Mega thrust into the shadows of Cold War politics as he works to foil a plot to rebuild the Nazi empire. Along the way, Agent Mega must tango with a Russian femme fatale, waltz around a black market arms dealer, and samba through a horde of outrageous characters to overcome his haunted past. Spies Are Forever premiered at Los Angeles's Noho Arts Center in the spring of 2016 and ran to packed houses for four weeks. A concert version of the show, Spies Are Forever: Reloaded was remounted at the 2016 Starkid Summer Season in Chicago. While planning future productions of Spies, the full length musical, with a book by the Tin Can Brothers and music and lyrics by TalkFine, can currently be seen on YouTube. With over 150 sketches, livestreams, trailers, challenges, and behind the scenes videos uploaded to their YouTube channel, the Tin Can Brothers are no stranger to producing quality content quickly. And with their roots in theater, it was the obvious next step to translate their comedic brand to the stage. In the second half of 2014, TCB wrote, produced, and starred in two sketch shows. Alive! On Stage! was performed to sold-out crowds at Chicago's Stage 773. And only a few months later, they followed up with their raucous Los Angeles debut, Seriously. Not a Joke. which ran for three nights at Hollywood's ACME Comedy Theatre.